A 1,95,000 sqft. higher educational facility in the heart of central Mumbai. 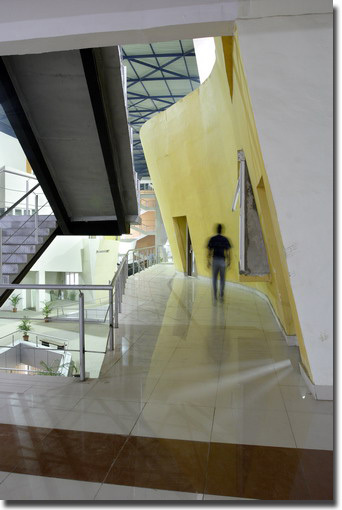 Breaking new ground with radical re-think of campus architecture in India, the building architecture is devised as a group of distinct facilities connected by a self guiding interior promenade with nooks and alcoves to accommodate student activities. Eschewing orthogonal rigidity, walls bend, curve and tilt to challenge accepted notions of structural stability. A cleverly designed skin allows the structure to be naturally aerated at all times.